Floating shelf is not only a beautiful addition to your decor, but it’s also a great space-saving solution. This kind of storage doesn’t take up lots of space around the room while still providing an adequate shelf to store lots of your stuff. 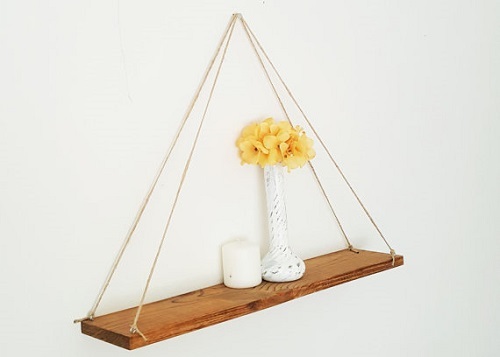 For sure, you can find dozens of interesting hanging shelf design on the internet. From the casual rectangular one to a more complicated look. Choosing a floating shelf to decorate your living room wall is never a bad idea to try. 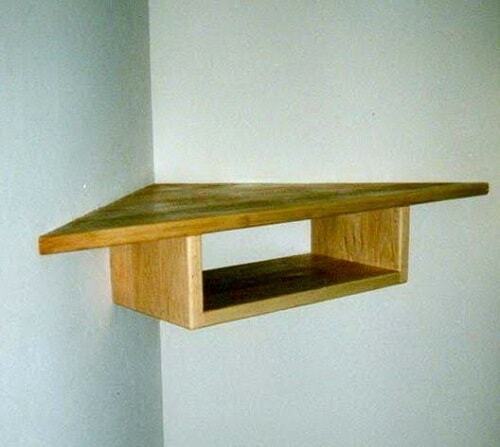 As the bonus, floating shelf is also fairly easy to make by yourself. You don’t need to have an expert carpenter skill to create your own DIY floating shelf. Moreover, you can also use easily-available material which of course affordable when you choose to build a floating shelf. 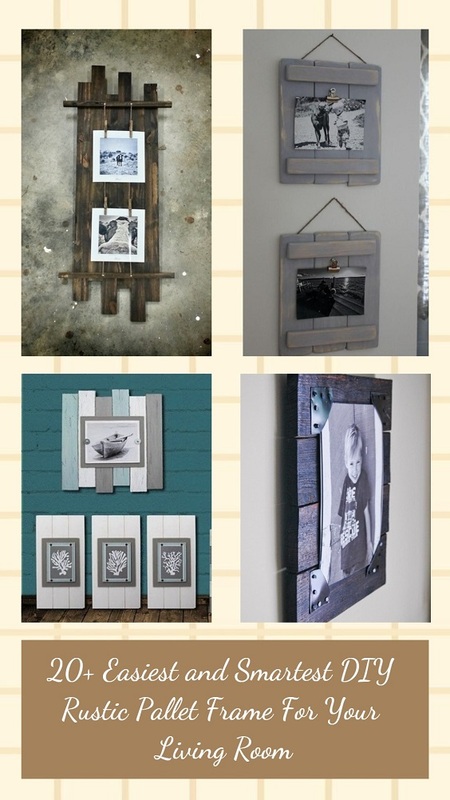 Used shipping wood pallet, for instance, is a super cheap thing that you can use to build a floating shelf. 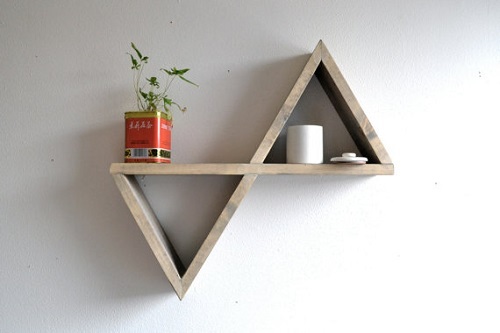 One of the most popular floating shelf designs nowadays is the triangular one. 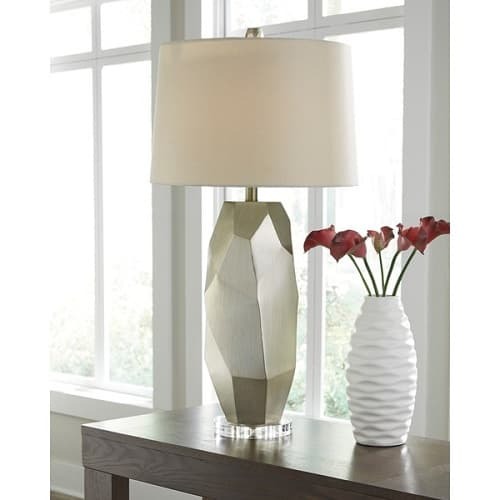 It looks both unique and gorgeous which will surely enhance the style of your living room. 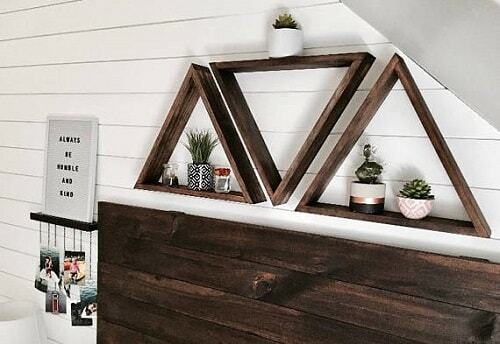 Here, we have dozens of inspiring DIY triangular floating shelves that you can try to build at home! 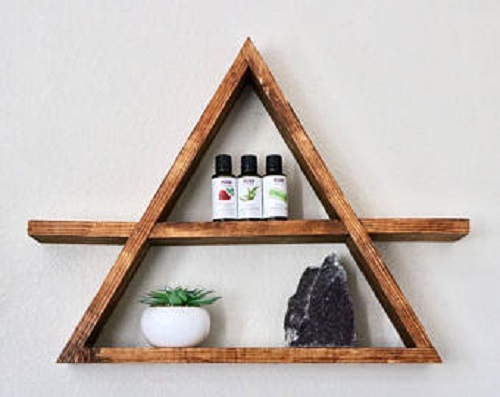 The creative yet easy DIY triangular floating shelves in the 2-in-1 design that doesn’t only look gorgeous but also provides more space. 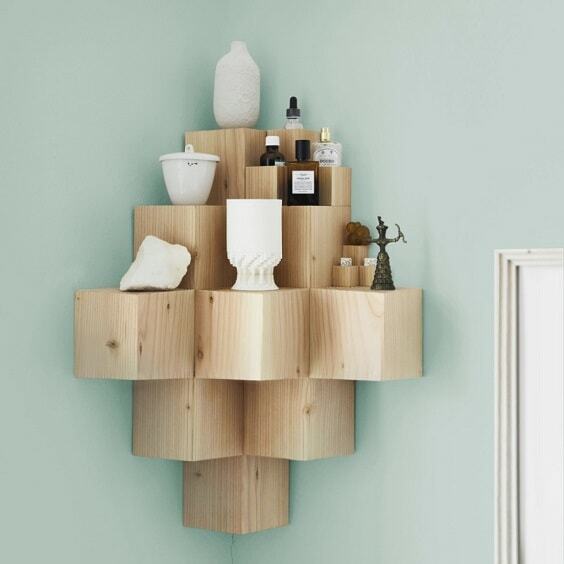 You just need to attach a small wood as a divider inside each shelf. here, the hexagonal shelf is put alongside the triangular shelf, creating a catchy look to decorate your living room wall. 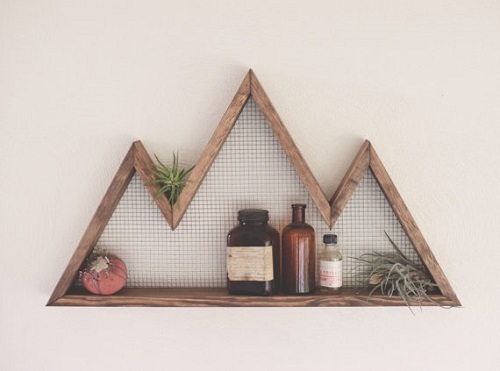 The simple DIY triangular floating shelf which is inspired by the look of the mountain. 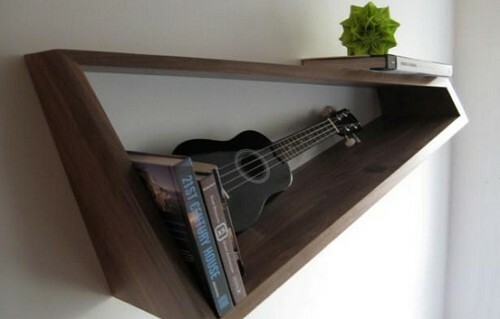 It’s also a 2-in1 shelf which will save more space on your living room wall. It’s such a very worth-to-try idea. This one is designed in upside-down style with more space to store your stuff. Here, you can also get the flat space to put something besides the space inside the triangular part. 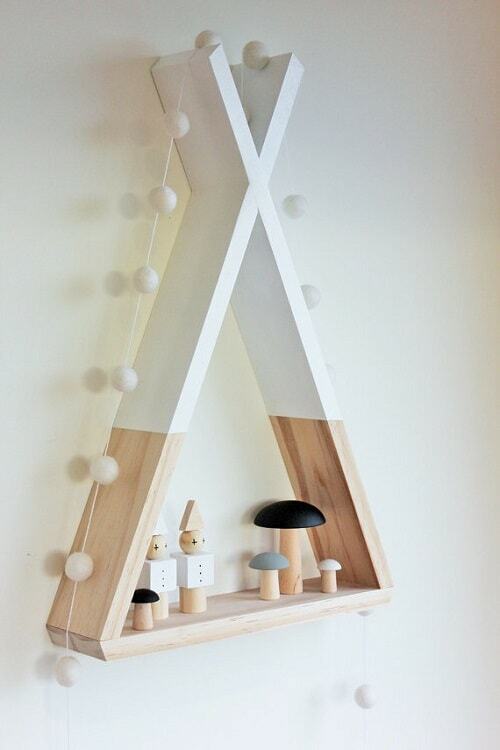 The gorgeous DIY triangular shelves with three spikes which looks quite distinctive. It has quite large space to store lots of stiff in various sizes. 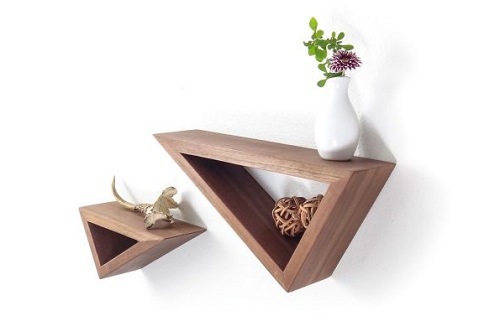 This one is not an ordinary triangular shelf that you have to try. It is designed in the half prism look which is then mounted on the wall. 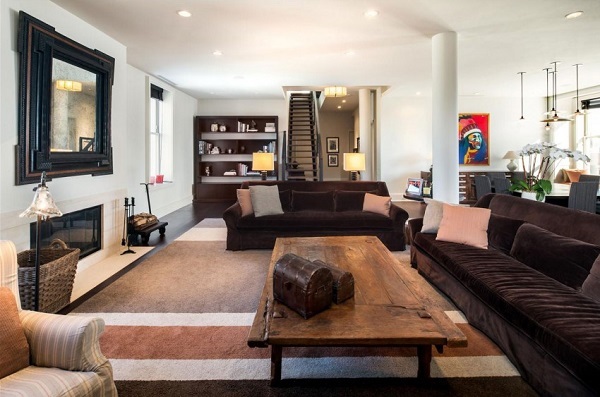 A very inspiring idea for you who love the minimalist decor. Installing the triangular shelves in the upside down position is a simple and easy idea to make them look gorgeous and also provides extra storage. Here, the shelves in such design are placed in the reversing position, you can use the flat storage and the other one inside the triangle. 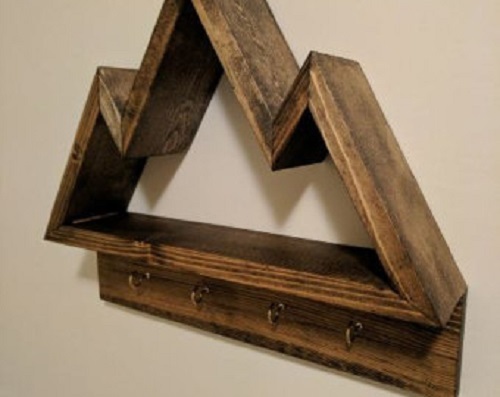 The unique design of triangular floating shelves which you can make easily at home. 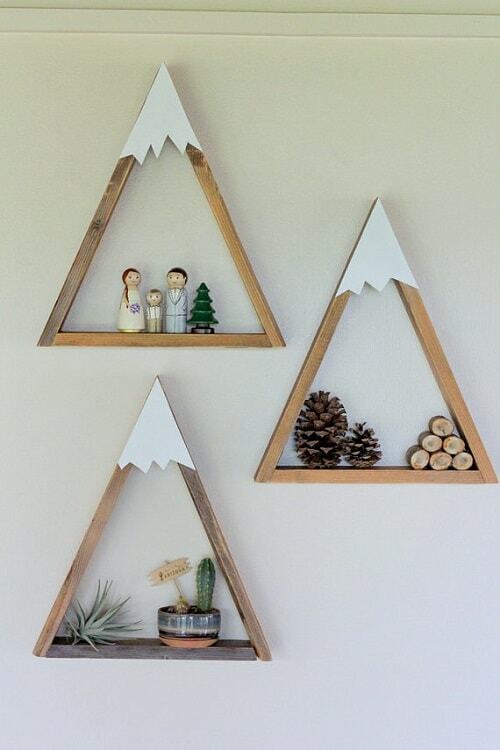 It has the snowy accent made of thin wood or you can also cut a white hard paper and just stick it to the shelves. 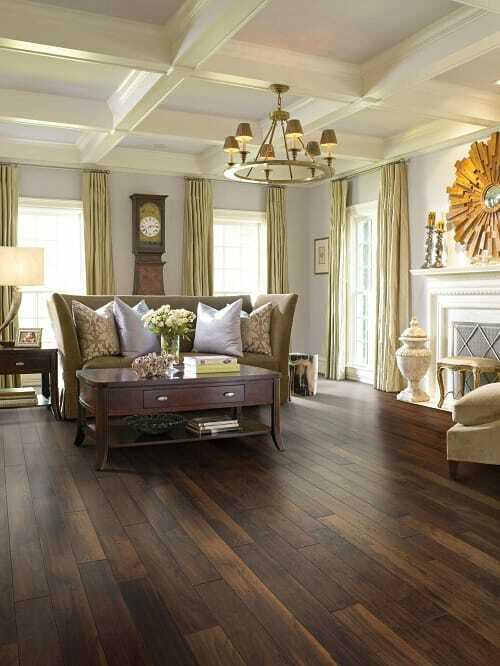 Such design creates a catchy mountainous look that will enhance the look of your living room dA�cor. 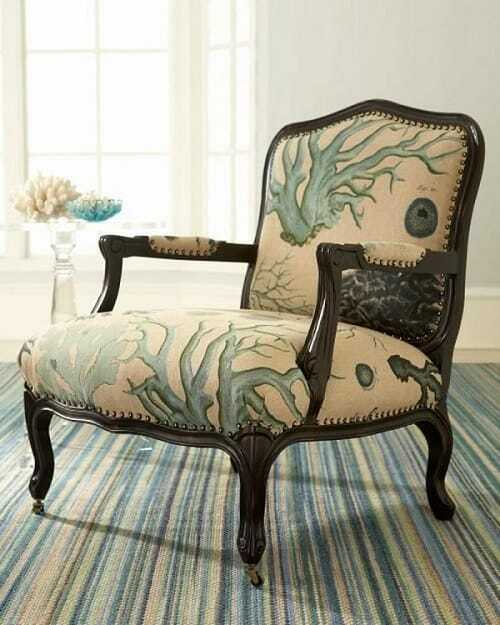 This is a great choice for you who love to add something Boho to your living room. A tall triangular floating shelf with the exceeding on its top which is inspired by the style of the vintage Boho tent. You can always give any finishes as you like and, of course, add another chic accent like the balls around the shelf. 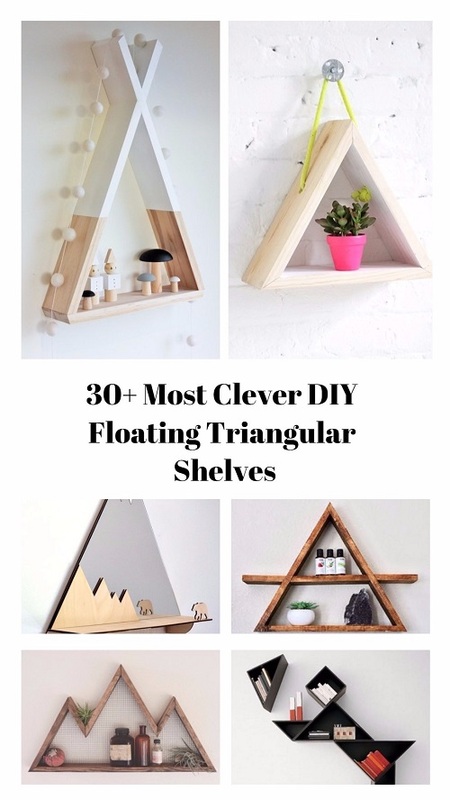 Another two-in-one DIY floating triangular shelves and this one has multiple storages to store lots of your stuff. One triangular is made in the full shape with three levels of storages and the other one is designed in half style which provides quite small space. A very beautiful triangular floating shelf which is designed in a crystal look. Ita��s truly a great alternative for you who are looking for another style of wall-mounted storage for your living room dA�cor. 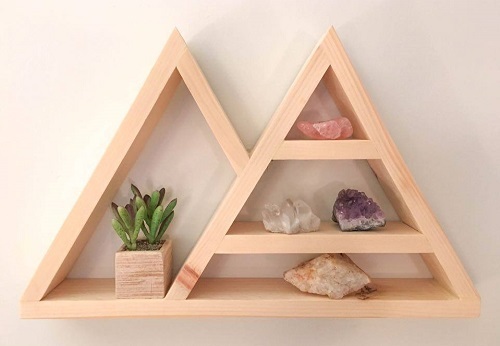 Again, a unique triangular floating shelf which you can make at home easily. Here, the triangle is only made as an accent underneath the wall-mounted long shelf. You can optimally use the top shelf to store your stuff and perhaps put a small thing inside the triangle. 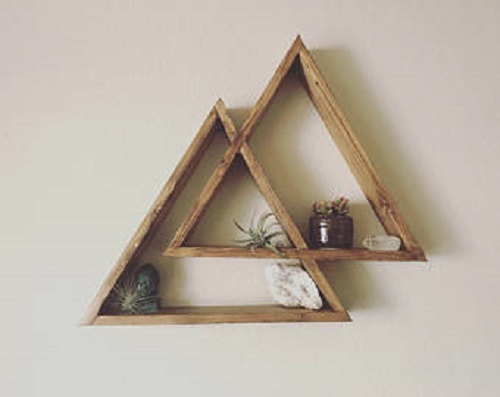 Not like the other DIY floating triangular shelves design, this one is a small rectangular floating shelf which is mounted on a triangular wood board. 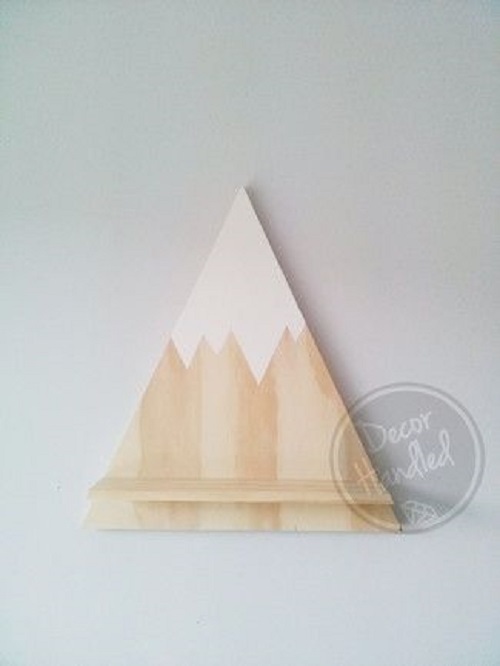 Then, draw the snowy look with the white paint on the top of the triangular wood. 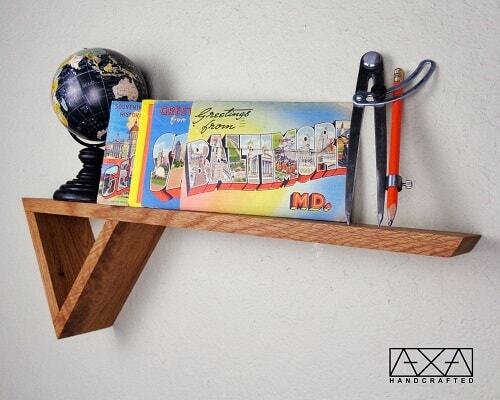 Almost similar to the previous one, here the triangular floating shelf is also made in the mountainous style. Yet, the design is more complicated and stunning with dual-color style. Then, the grizzly bears accent made of wood is also added to create a more wonderful look. Designing the triangular shelves with multiple storages is always a great idea to make it more useful. This one is surely a smart yet simple idea to try. The shelf has two level storages and the extra one on its every side. The wood divider is made of excessive design which makes it look so gorgeous and also provide more space to store your stuff or dA�cor. 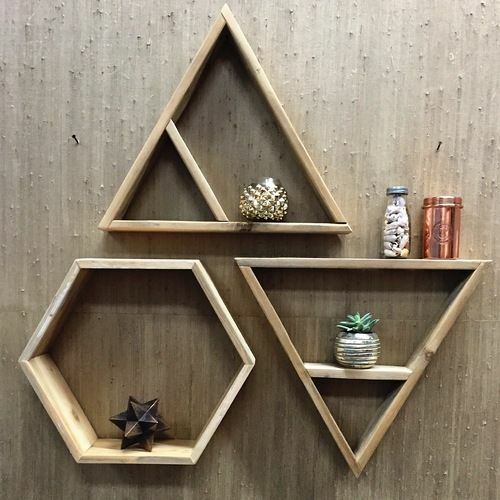 If you feel using only woods as the material for your DIY floating triangular shelves, this one is definitely an inspiring design to try. The wood timbers are cut in some sizes and just simply put them on the wall. 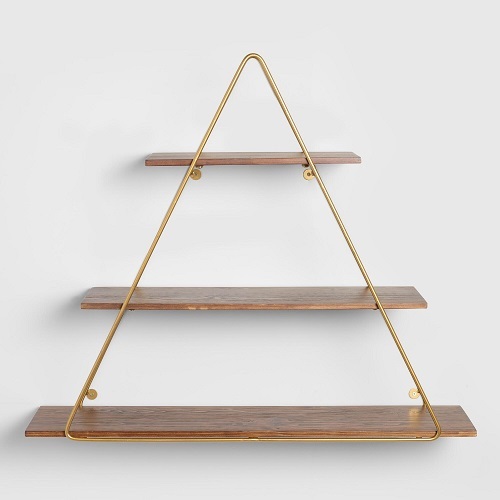 The metal triangular frame with a gold finish then attached to the front of the wood, bringing the shelf into a whole new style. This one is not like the other triangular floating shelves with lots of storages to store your stuff and dA�cor. Here, you can get an open shelf in triangular shelf with the drawers underneath. 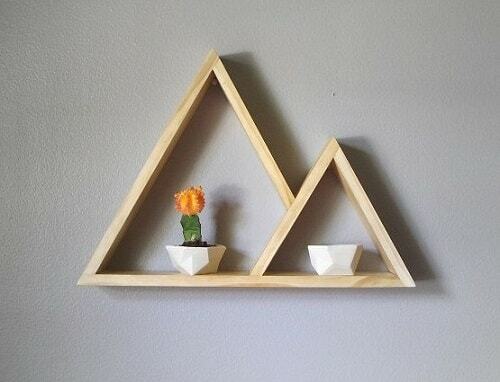 Ita��s totally an awesome triangular floating shelf idea that you can try to build. 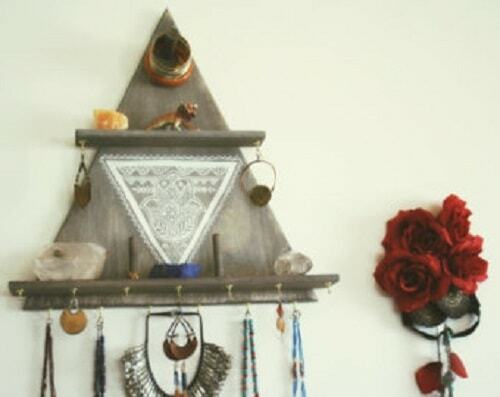 An extremely simple idea to turn a regular floating triangular shelf to look much catchier. Ita��s a great option if you think that the shelves in natural wood finish look too boring. The shelf is finished in random colors, but not a usual one. As you can see, only the front side of the shelves which are is accented with particular finishes. Moreover, only some corners of the shelf which is accented, creating a unique colorful look. You dona��t always have to bet tricky to have an attractive floating triangular shelf to decorate your living room. 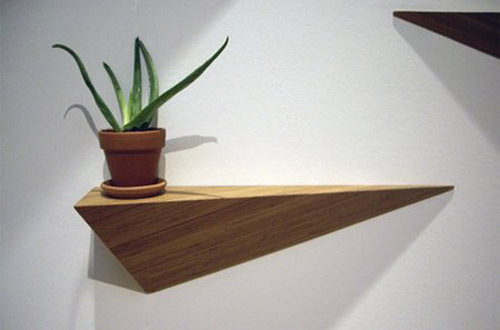 In this clever idea, you can get a floating triangular shelf with a quite distinctive look by using the layered design. 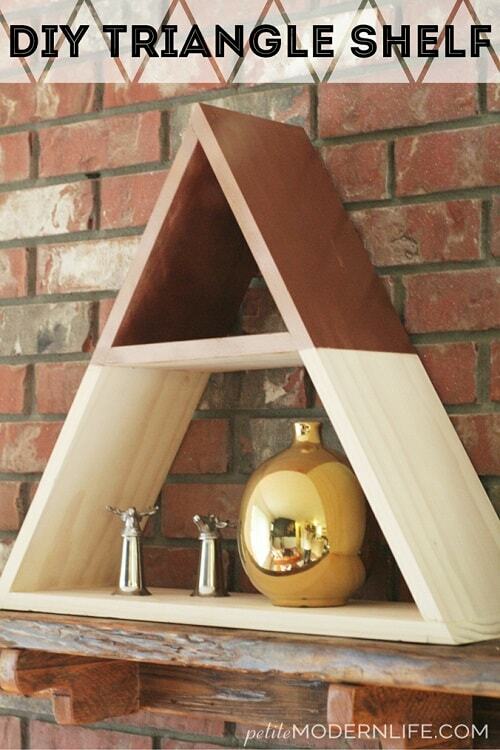 You just have to make one full triangular shelf, then put the smaller triangular without the base inside it. Then, attach the half rectangular shelf underneath the first one. 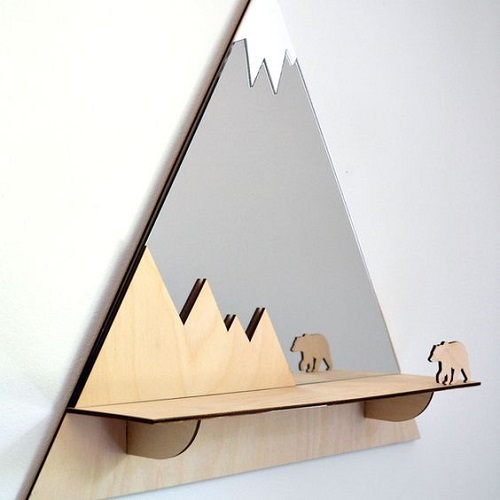 A floating triangular shelf with a mountainous look which is equipped with the hanger. Ita��s very easy to make while also very useful to store various stuff in your living room. You can have two different storages at the same time with a small effort. 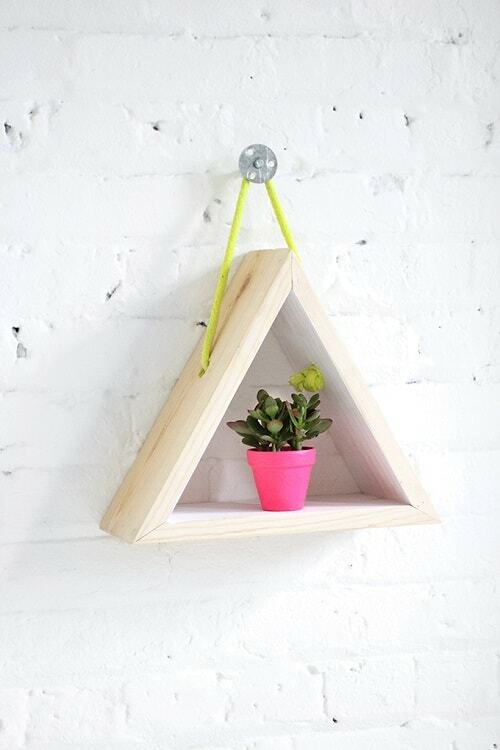 A beautifully cute triangular shelf and this is not a floating one. Hung by the vibrant rope, the shelf will give a very chic look to your living room dA�cor. The natural-finished shelf is surprisingly catchy when ita��s combined with the rope and the metal hanger. 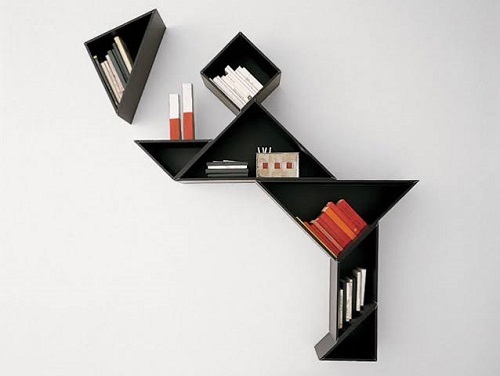 This idea shows a smarter way to use the floating triangular shelves. 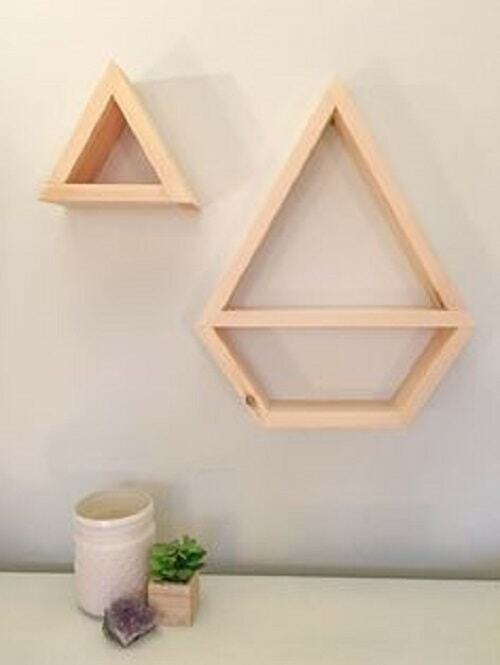 Two pieces of the triangular shelves are mounted on the wall and separated by the short space. The space is enough to be used as the bookshelf which brings the overall look of this floating triangular shelf into a whole new level. The creative two level floating triangular shelf which provides multiple storages for various use. By just simply attaching some hooks underneath the wood timbers, you can get extra space to hang your necklaces and bracelets. 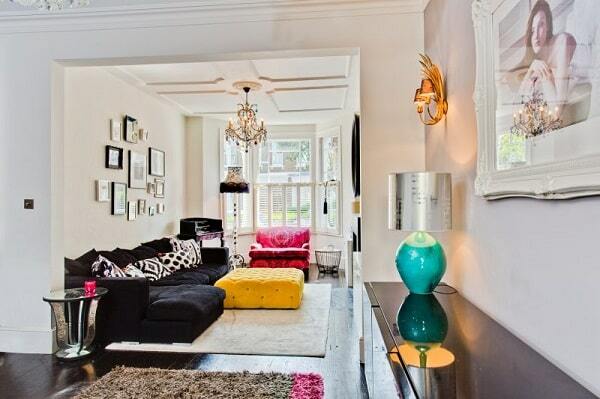 This one comes with three small triangular shelves which are adequate to put lots of stuff. They are painted in white inside to create a much brighter look. 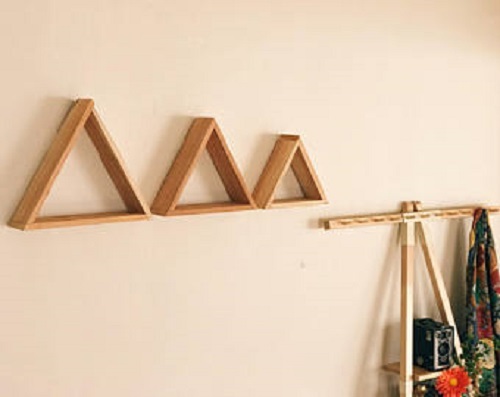 A simple yet smart idea to put the floating triangular shelves on your living rooma��s wall. 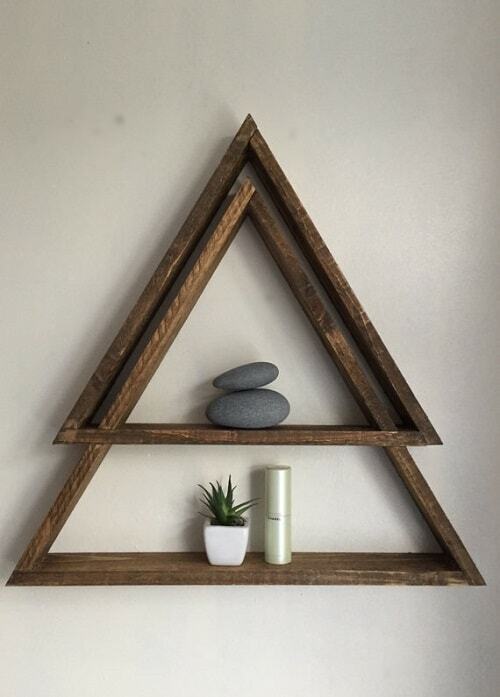 Youa��ll need to build three floating triangular shelves in different sizes to create this look. Giving light gray finish for your floating triangular shelf is a great idea for you who want to add a more minimalist look to your living room dA�cor. This one is a large floating triangular shelf with multilevel small storages. 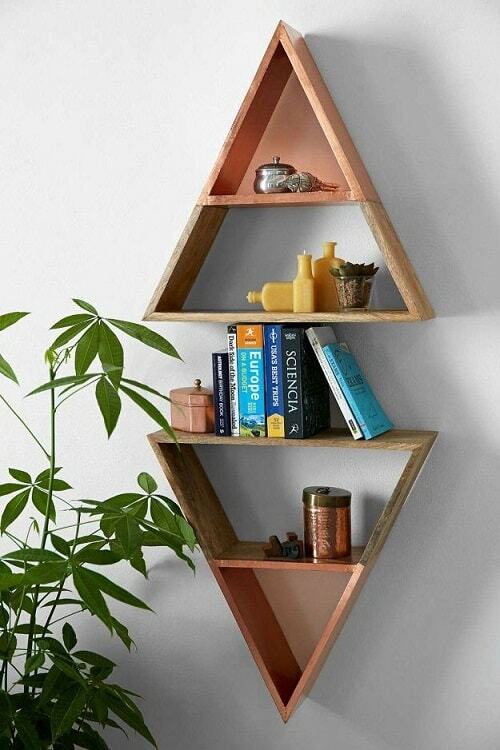 Another unique hanging triangular shelf that is totally worth-to-try. In this idea, the triangular impression is created by the rope design. Ita��s a smart way to create a more distinctive hanging triangular shelf for the living room. A beautiful floating triangular shelf with two-tone style, creating a simple yet chic look to enhance your living rooma��s dA�cor. The shelf has two levels of storages which also adequate to store your stuff. 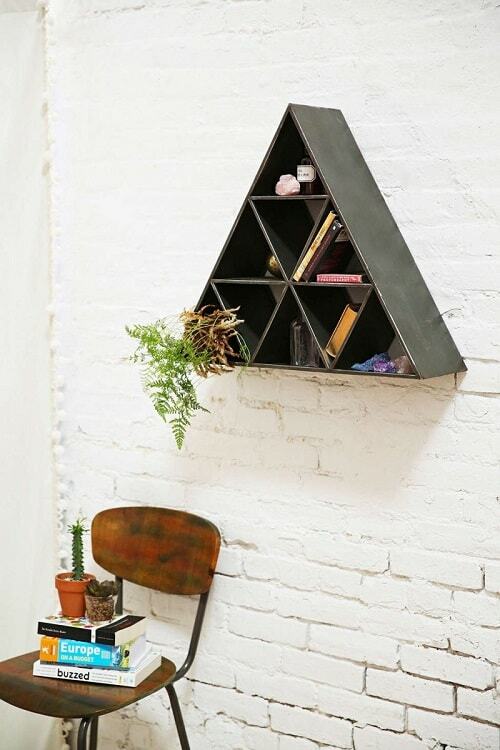 A simple floating triangular shelf to place in a corner of your living room. This one has a deep open drawer underneath which provides extra space to put your things. 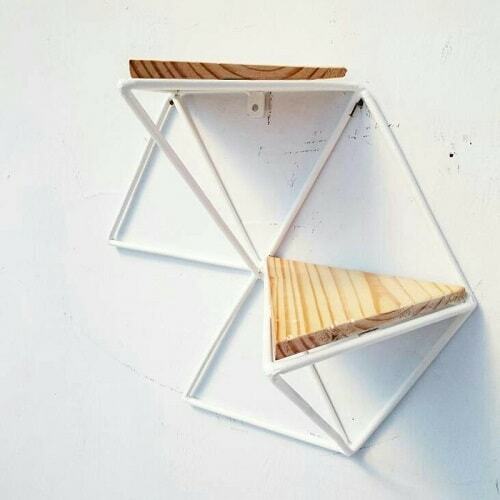 If you want a more advanced floating triangular shelf design, this one is a great choice to try. Ita��s a floating shelf which is mainly made of steel or aluminum. Then the frame is designed in a quite complicated geometric shape. The small triangular wood boards then attached on the frame to provide the storage space. 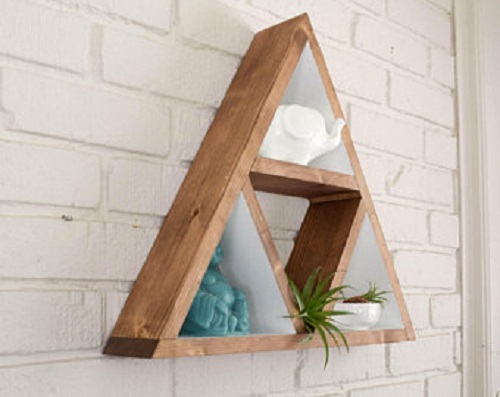 Ita��s safe to say that the 2-in-1 floating triangular shelves are a popular design which is chosen by many DIYers. Here, the shelf is designed in leveling style and you can get three storages in various sizes. 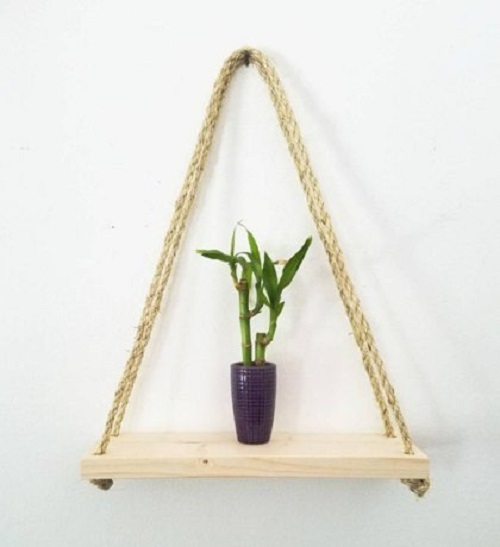 Again, a hanging shelf with the rope as its triangular look. Ita��s a great choice for you who love to add something rustic to your living room. The rope style is the natural one in the natural finish which then combined with the wood timber. This one is not a regular floating triangular shelf since ita��s designed in a much catchier dimensional look. Besides offering you a more distinctive shelf style, the design also provides a wider space to put your stuff. You can put lots of books freely inside the shelf and some decors on its top. A superbly stunning floating triangular shelf in a modular design that will totally enhance the overall look of your living rooma��s dA�cor. Ita��s a collection of small to medium shelves in random shapes which include triangular, square, and diagonal. A very great floating shelf idea to try. How? 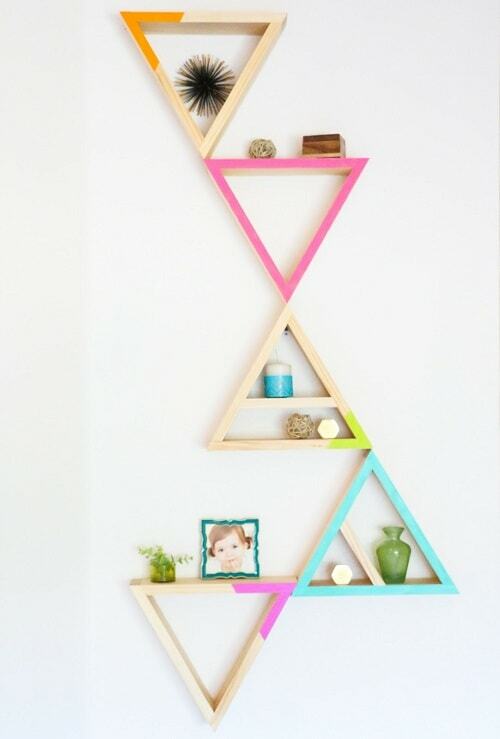 You must find those DIY triangular shelves are totally inspiring to try. 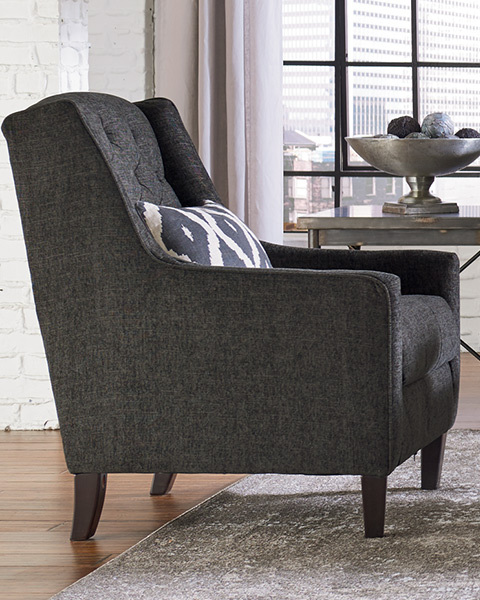 Find the one that suits your needs and style to be an additional storage of your living room. The floating triangular shelves are always a great idea to display your stuff in a gorgeous way. Besides, ita��s also very easy to make with the simple steps and easily-available materials. Keep in mind to stay safe during the project y wearing some safety gears like eye goggles and gloves.